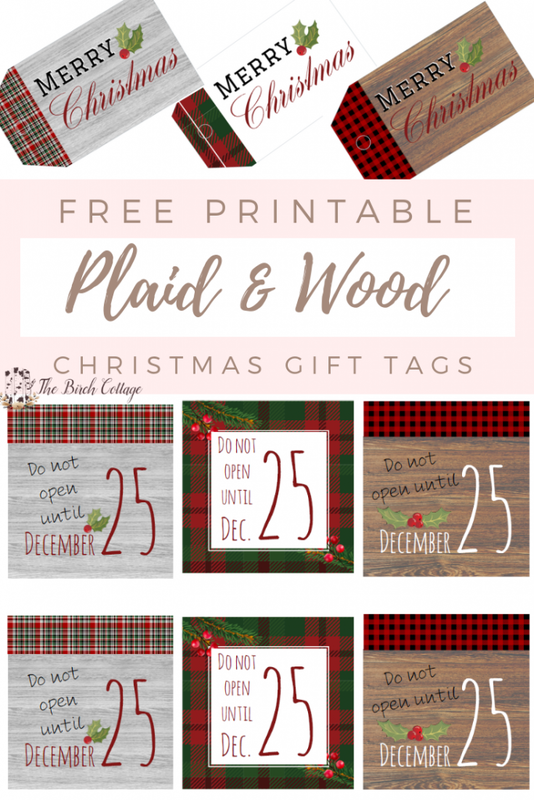 Download your free printable Plaid and Wood Christmas Gift Tags, plus a set of Do Not Open Until December 25 gift tags to match! When our sailor girl was home for Thanksgiving last week, we took a little trip to Lowe’s to purchase some outdoor Christmas lights they had on sale. Of course, that meant we also had to peruse all the beautiful Christmas decorations, wrapping paper and ornaments at Lowe’s, too. When I think of wrapping paper, gift tags and ornaments, I don’t usually think, “Hey, I’ll run to Lowe’s for that!” But, as we were admiring all the lovely Christmas items, my daughter says, “Mom, you should make some gift tags like these.” I took a look at what she had in her hands and said, “I definitely could and I think I will.” And I did. So, there you see, they’re different but they coordinate well together (I think). But, that wasn’t enough….. 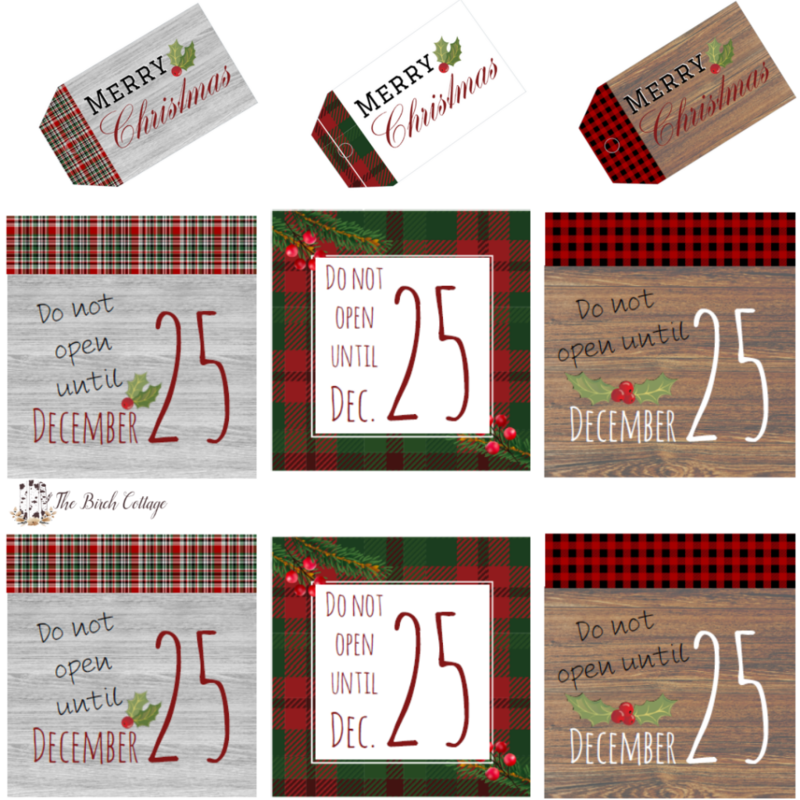 I also created some “Do Not Open Until December 25th” gift tags to coordinate with the plaid and wood Christmas gift tags. Then you just need to download the PDF file and save it to your computer. 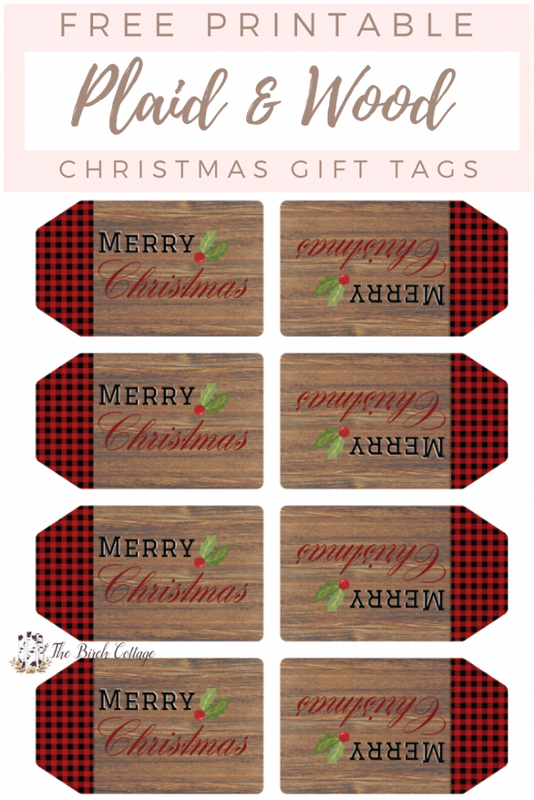 These Plaid and Wood Christmas Gift Tags and all other free printables on The Birch Cottage are for your own PERSONAL USE ONLY. 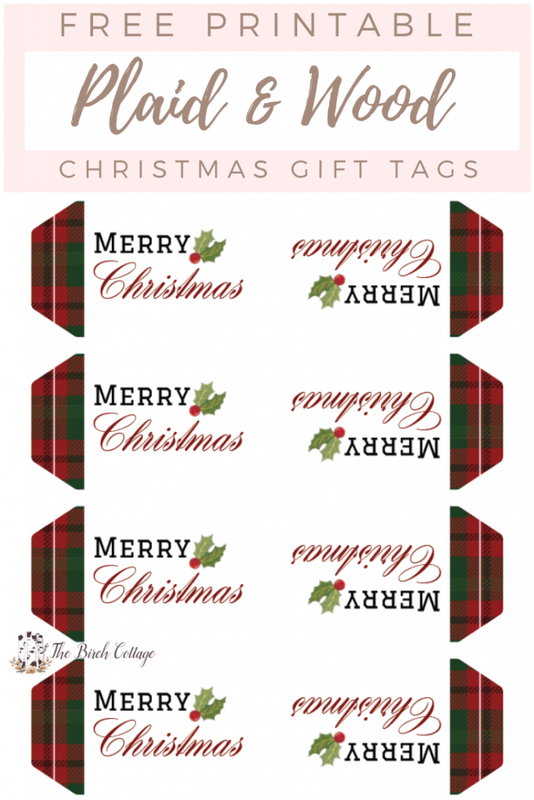 Use these printable gift tags with all your Christmas gifts. 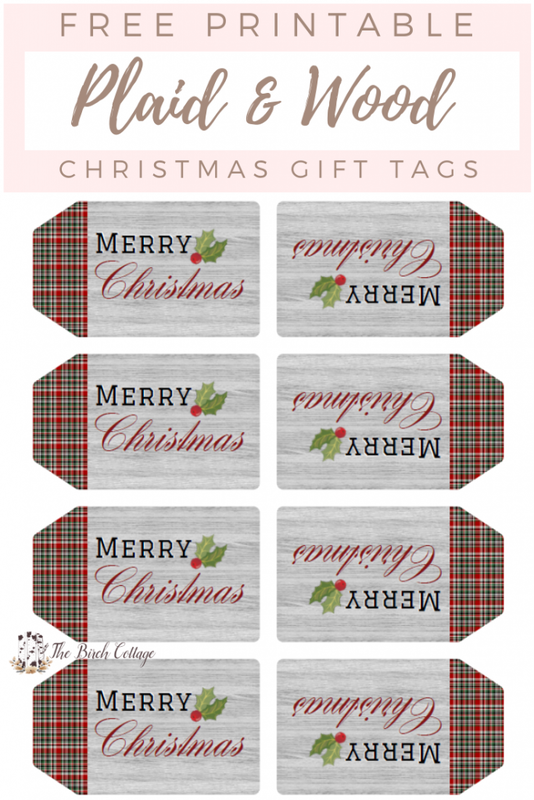 Sign up to get the free printable Christmas plaid and wood gift tags using the form earlier in this blog post. 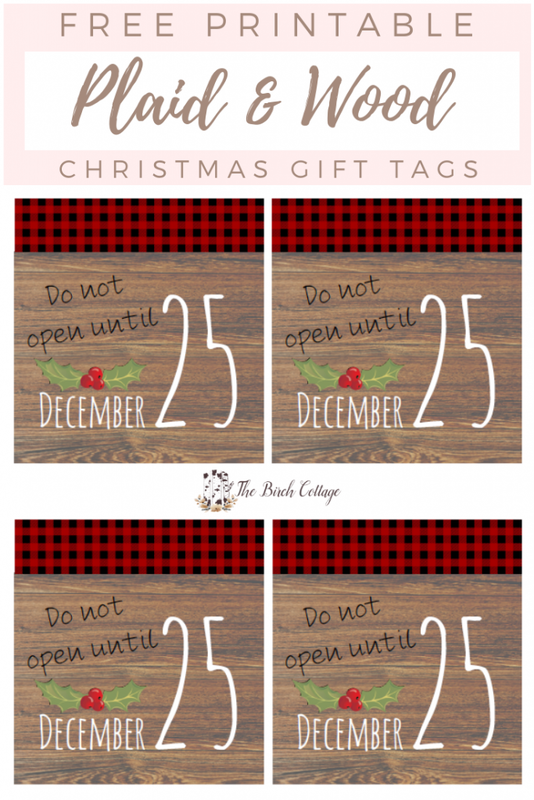 Then download the free PDF and print your preferred gift tag design. Choosing the highest quality settings in your printer settings will give you the best quality print. 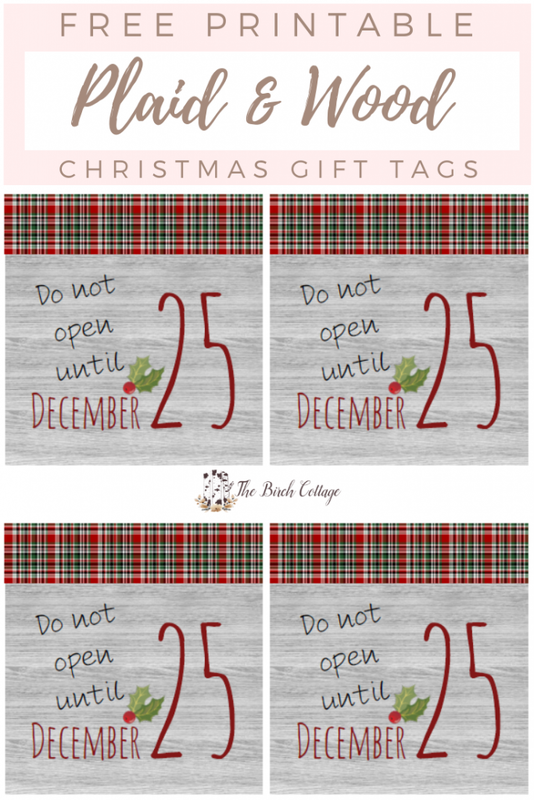 If you used the Avery printable cards or labels to print your gift tags, you’ll simply want to tear the cards apart following the instructions on the package. 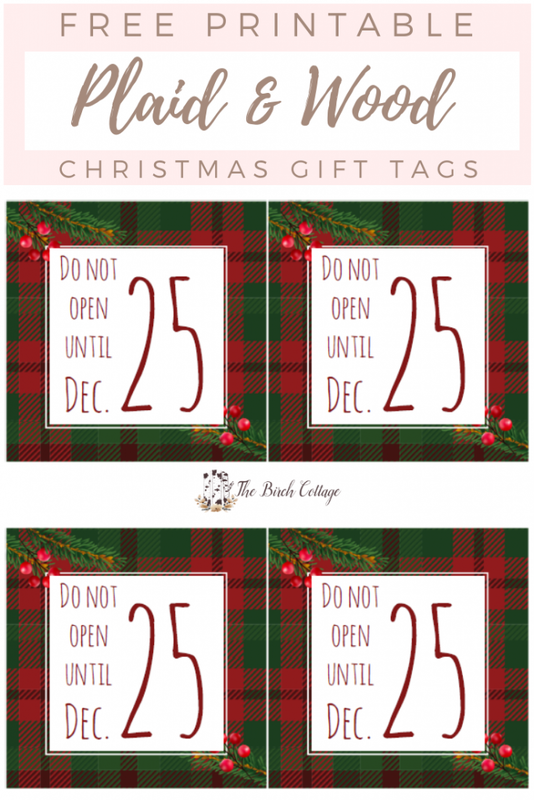 If you’re using cardstock, you may want to punch a hole in the top of your gift tag and affix to your package with ribbon or twine. If you’re using labels, simply peel and affix to the package. 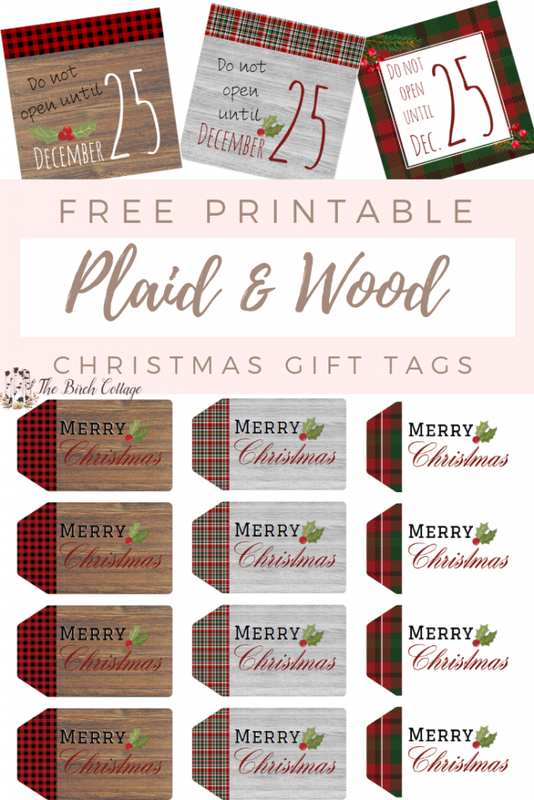 I hope you enjoy these free printable plaid and wood Christmas gift tags and labels. They will be making an appearance on my Christmas gifts this year!